During his day-long visit to the state, he will also lay foundation stone for extension of the terminal building at Surat Airport. 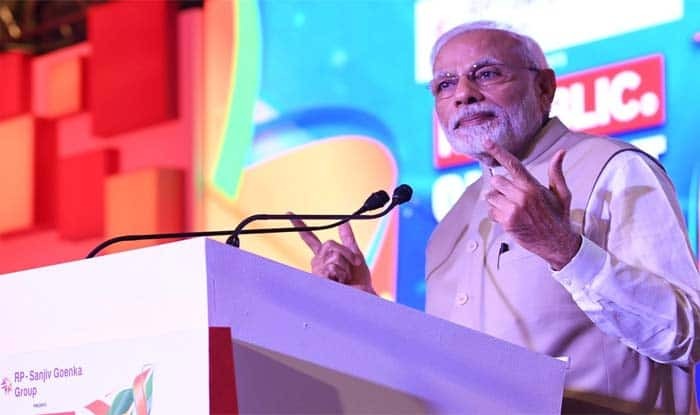 Surat: Prime Minister Narendra Modi will on Wednesday dedicate to the nation the National Salt Satyagraha Memorial at Dandi in Gujarat on Mahatma Gandhi’s death anniversary. “PM Modi will go to Dandi in Navsari district where he will dedicate the National Salt Satyagraha Memorial to the nation on Bapu’s death anniversary,” an official release said. “The memorial has statues of Mahatma Gandhi and 80 Satyagrahis who had marched with him during the historic Dandi Salt March. It also has 24-narrative murals depicting various events and stories from the historic 1930 Salt March,” it said. The prime minister will also address a public meeting later, it said. The Salt Satyagraha March, better known as ‘Dandi March’, was a landmark event in the freedom struggle. As part of the civil disobedience movement against the British rule, 80 Satyagrahis led by Gandhi marched 241 miles from Sabarmati Ashram in Ahmedabad to the coastal village of Dandi and made salt from sea water, thus breaking the Salt Law imposed by the British. Before visiting Dandi, the prime minister will lay foundation stone for extension of the terminal building at Surat Airport. PM Modi will also inaugurate Smt Rasilaben Sevantilal Shah Venus Hospital in Surat. On return to Surat from Dandi, he will interact with participants at the New India Youth conclave. This will be PM Modi’s second visit to Gujarat this month. He had visited the state on January 19 to dedicate the Armoured System Complex at Hazira besides attending the Vibrant Gujarat Summit on January 17 and 18.